ChargePoint has announced a new partnership with InstaVolt to install more than 200 ChargePoint rapid charging systems. This represents the first major milestone in its European expansion. UK electric vehicle charging network InstaVolt has signed a contract to purchase more than 200 of ChargePoint Express Plus systems. These systems will be installed by InstaVolt along popular routes in the UK with an aim to enable drivers to quickly recharge their EVs on longer road trips. As we shared back in January, the ChargePoint Express Plus charging system is a modular solution that allows operators to install the charging station and then increase the charging speed of the systems as more vehicles capable of fast charging enter the market. This is critical because it gives operators confidence that the initial investment will not be lost as technologies change over time, but instead allows them to change with the times and increase charging speeds up to 400 kW … which is 3 times faster than any vehicle on the market today. “We are delighted to partner with ChargePoint to deliver a best in class EV charging infrastructure. We own, install and maintain rapid electric vehicle charging units all over the country, giving landowners the opportunity to earn a rental income by housing them, and giving EV drivers access to the fastest charging available. The move into the European market for ChargePoint and this new partnership with InstaVolt represent major milestones in the rollout of the fast charging network of the future. To date, the fastest non-Tesla charging stations available top out at 50 kW, whereas these new ChargePoint units allow for dramatic expansion in the future. Worth highlighting here is that many of today’s EV drivers demand or at least greatly desire superfast charging in their next EVs. 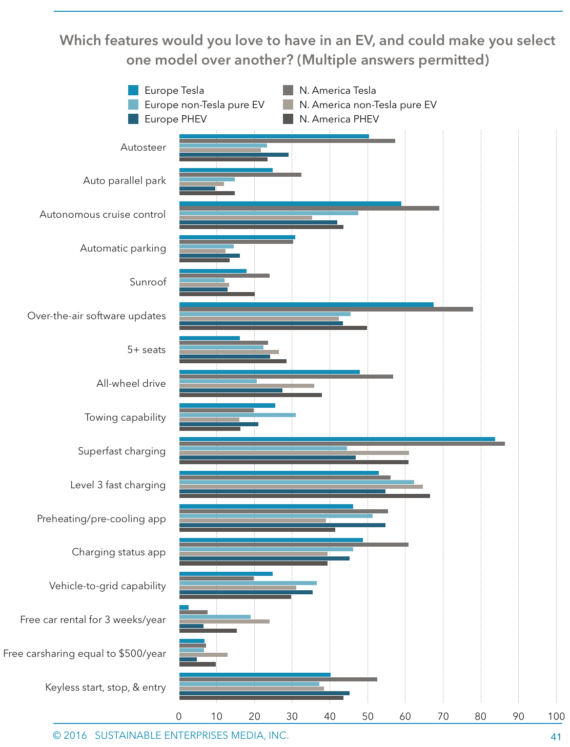 Depending on the type of electric vehicle they drive today (a non-Tesla fully electric car, a Tesla, or a plug-in hybrid) and where they live (Europe or North America), 32–92% of the respondents we surveyed said they required superfast charging in their next EV. 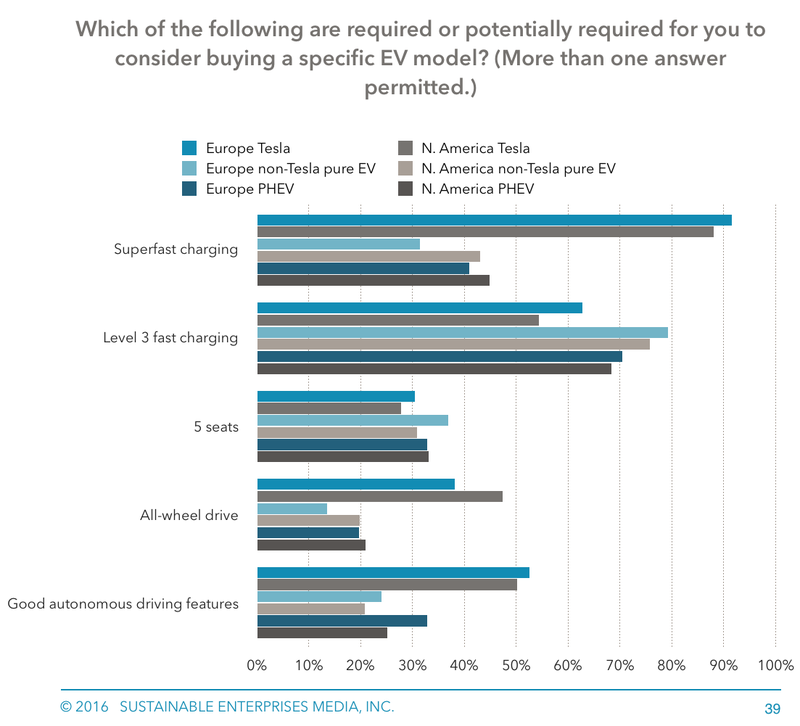 Looking at desires instead of requirements, the figures ranged from 45% (European non-Tesla fully electric car drivers) to 86% (North American Tesla drivers).